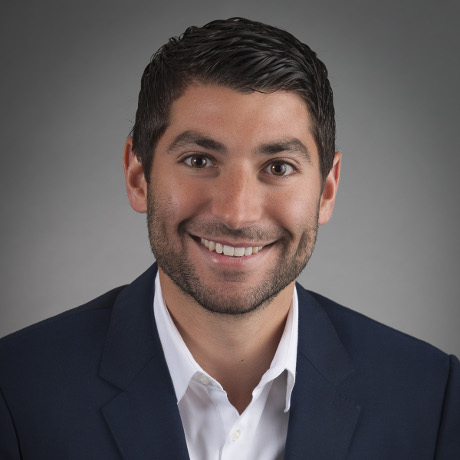 Norm Volsky Interviews Justin Kahn, Founder/CEO of TruClinic - Direct Recruiters Inc.
orman Volsky, Director of Mobile Healthcare IT recently had the pleasure of interviewing Justin Kahn, Founder/CEO of TruClinic for a Thought Leader Interview. Justin shares the interesting background of his career and the inspiration behind TruClinic, as well as industry insights, advice for young entrepreneurs, and more. My name is Justin Kahn, I’m 39 years old. I have had multiple careers in my life – I’ve been a Realtor, a Natural Disaster Claims Adjuster and for the past seven years, I have been the Founder and CEO of TruClinic. Give us some background on TruClinic, why you started the company, and the mission behind it. I joke around and say telehealth chose me, which is kind of true. When I was young I got hit in the head with a baseball bat during a softball game. I suffered a traumatic brain injury and was misdiagnosed with Post Traumatic Stress Disorder for over a decade. When I was in my late 20s, I had a seizure that scared me into seeking out the help of a neurologist who discovered, after working with her over a period of time, that I had TLE (Temporal Lobe Epilepsy). She put me on an anti-seizure medication and it changed my life almost overnight. I used to suffer from anxiety and panic attacks and those went away after I started this medication. As a side note, I grew up around the VA hospital system. My stepfather was an administrator for the VA so we lived on the grounds of different hospitals growing up as a kid. I knew what the infrastructure was like at the VA and knew some of the problems they had as it related to behavioral healthcare in particular. In 2008, I happened to read a transcript of a speech that Robert Gates had given to the graduating class of West Point and he talked about how the DOD was going to start investing billions of dollars into the PTSD epidemic that had been plaguing the branches of the military. That article resonated with me because growing up, I always wanted a doctor to see these panic and anxiety attacks I was having in real time instead of trying to explain what had happened weeks later in the doctor’s office. When I read that article and started to think about the infrastructure at the VA, I came up with an idea, really thinking about what I wanted for myself and how that might apply to the VA. My idea was to connect active duty troops with VA providers from the troops’ home state at the beginning of their service career. When the troops graduated from training, they would be deployed and assigned with a group of providers from the VA. During deployment, they would be able to meet with those providers through a secure video conference and the idea was that it would be outside of the military, but not outside of the DOD. The hope was that the troops would be comfortable engaging with the VA providers while they were deployed so when they transitioned to a veteran status, they would already have those relationships established and would continue to engage those providers, and more importantly, they would get used to the technology. The video technology piece is important because close to 40% of veterans live in rural and frontier counties in the US. I took this whole idea to the Salt Lake VA, and they liked it. The VA said if we could produce the technology we were proposing, then they would give us a grant. Less than a year later, we brought the BETA version of the technology in for a pilot in which relaxation exercises were taught to a test group of veterans using the technology. They measured the retention rate against the control group, which did not use technology, and they had phenomenal success with the test group. That led us to apply for grants with Utah Valley University and also from the Governor’s Office of Utah to finish building out the first version of the platform. We also used grants to do a couple of projects with the Goshute Native American tribe, one of the most rurally isolated tribes in the continental United States. Our success with the Goshutes led us to get the seed capital for the company, which was really the beginning of TruClinic and how we started off to the races. As an accomplished, young entrepreneur, with several awards to back that, what advice would you give to up and coming entrepreneurs? Success is an unattainable target; an ongoing goal. I love what I do because I am capable of doing it. I am always working towards the never-ending definition of what success could be. In my opinion, success can only be measured against the happiness one feels in their day to day activities. The stuff we are really interested in right now is machine learning. With the launch of our new version 3 platform we have much more robust capabilities around gathering and analyzing data and using that in a way that actually provides real ROI back to our customers. The first movers in telehealth as it relates to machine learning and AI are around patient triage and common symptoms, deciding whether or not individuals need to go to the doctor or if this is something that could be handled through an algorithm. This is the place to start and is one of the low-hanging fruits, but when you start really thinking about predictive analytics, clinical decision support and longitudinal data and what that means in terms of not only helping to streamline efficiency, but also to improve patient outcomes- that’s one of the things that really interests me personally as we think about how telehealth moves into the next iteration. My team and I think of that as virtual health where you’re unifying the experience between what happens inside of the four walls and outside in the real world. What challenges do you currently see in the healthcare IT industry? It’s the wild west in a lot of ways, but there’s also a lot of noise. As one of my mentors would say, “there’s a lot of sizzle but not a lot of sirloin.” The first wave of telehealth was the direct-to-consumer and specialist consults. The second wave was the platform play, and now there are a variety of different technologies to choose from. Video is a commodity, and now there are a lot of single use, tactile solutions out there that are limiting in how they can be applied to different use cases and workflows. Frankly, I feel bad for hospital and health systems and even the smaller mom and pop clinics and practices. The challenge they face when it comes to picking a vendor and building a strategy is that they may spend millions of dollars with a platform or provider services organization and then hit the proverbial wall with what they can do with it. What that has led to is organizations buying multiple overlapping and sometimes redundant solutions in order to fill the different use cases or work flows they’re trying to support as it relates to telehealth, and it becomes cumbersome, unruly, and unmanageable especially in large organizations. That’s why TruClinic is winning customers. We are seeing customers who have invested into those platforms and transitioned over to us, and we have also seen new customer entrants in the market coming straight to us because of the solutions and the services we provide and the partnerships we have created with our customers. Have you had a mentor(s) throughout your career? I collect mentors. I am only as smart as the people I surround myself with. I make it a point to engage and meet people by going out for coffee, learning, asking questions, and posing scenarios. I find that is one of the most effective ways for me to gain perspective and insight and to help me in how I think about the challenges or problems that I’m faced with. What strategies do you use at TruClinic to retain top talent? We are a big family here at TruClinic. Every person that I work with is someone that is part of the culture, and part of the fabric. We all support each other and we all make sure that we are helping each other in carrying the load. We all have our own domain expertise so we collaborate internally as a team as well as externally with our customers. I think that a focus on collaboration and team dynamic allows for the most constructive work program. We also use other strategies; For example, our engineers are not allowed in the corporate office unless they’re specifically here for a meeting. Otherwise they’re home, in a coffee shop or wherever their safe space is for programming. We do that because there is this component of what is called context switching – to have an engineer be in a mindset and be developing and have to switch, attend a meeting, or phone call then come back to programming, it’s difficult to do. We are an agile shop, so we decided that engineers work their own time, they have to be on certain calls or meetings for check-ins, and stay in constant communication. Everything we do is written, but I don’t care if engineers code at 2 AM or 2 in the afternoon as long as they get the work done. We have an understanding of different teams and different dynamics, and how they work and when they need to be available. We try to build the culture where, following the Netflix model, we don’t care when the work gets done as long as it gets done, and it is quality work, and on time. From a CEO perspective, the trick is to treat your team like a family, listen to the concerns and suggestions they have, and build the culture and team at the same time. You received your B.A. in International Economics, and B.S. in Political Science and Government. What led you to pursue healthcare? Originally, I thought I wanted to be a lawyer working on international infrastructure projects. That’s where I thought my career would go in college. Instead, my career went a different way. I came out of school, got a sales job, did some consulting and learned real estate because it was interesting to me and that was the direction my life went for the better part of a decade. I knew that being a Real Estate Agent wasn’t something I wanted to do for the rest of my life. It was more the fact that it gave me a lot of flexibility in terms of trying to figure out what I did want to do with my life. A real estate commission can be significant, so being a real estate agent and a claims adjuster gave me the ability to save money and invest it. When I made the decision that I wanted to pursue TruClinic, I self-funded the company for the first 2 years and did that based on the commissions I was making. This all led into what we, as a company have been able to do. Like I said before, I am only as smart as the people I surround myself with and everyone on this team has been an integral part of the company. Their knowledge, background, expertise and their experience have all help shape the vision and the direction and the strategy of this company. What trade shows are you looking forward to attending in the near future? I’ll be heading to the Gartner IT Symposium, the Conex Event in Dallas, HIMSS, ATA, AHA, SPS, and ISM. We do a decent amount of shows and speaking.